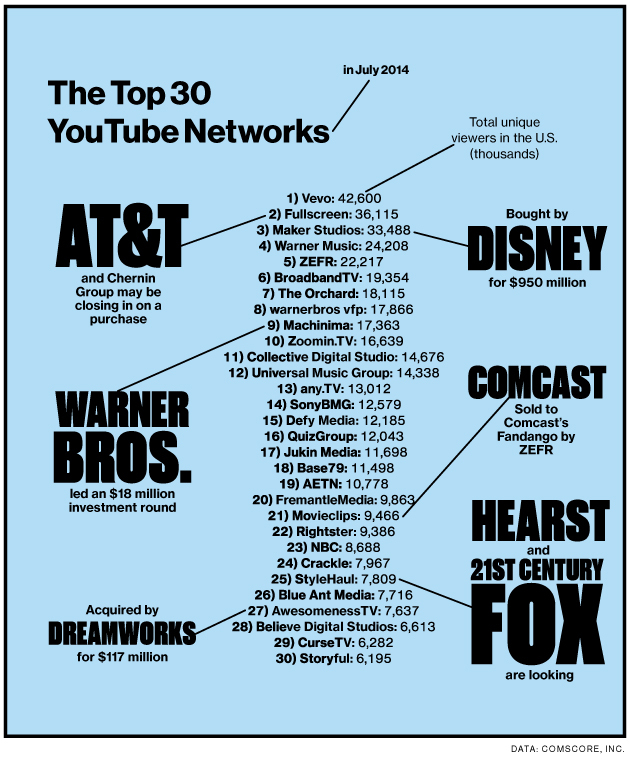 Which YouTube Networks Have the Most Viewers? 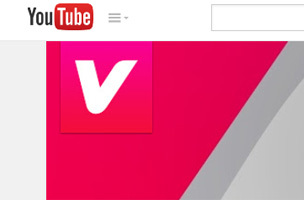 While YouTube is not the best of business models yet, one day, it will "make everybody embarrassingly rich." The article tracks the rise of multi-channel networks on YouTube, where traditional media companies have been investing heavily. “Big media companies, which a few years ago were furiously filing copyright lawsuits against YouTube, are jostling for a piece of the action,” writes BW staffer Felix Gillette. Traditional media companies are all having to figure out the online business — digital advertising dollars are not sufficient to replace the loss of print ad revenue. However, on the video side, TV advertising continues to grow and dwarf ad dollars for digital. “It’s obvious that the monetization and the economics have been lagging behind the size. But it’s definitely moving at a very fast pace,” Ynon Kreiz, CEO of Maker Studios, told BW. Maker Studios was bought by Disney in March for $950 million. The rapid consolidation of YouTube programming has thrown the small players into a frenzy of excitement and apprehension. They’re concerned that the big companies will squash the community’s creative autonomy and turn its artists into creative serfs. The great hope, on the other hand, is that the newfound investment will free artists from the shaky economics of living video to video and allow them to focus on improving their craft. More premium programming will lead to more premium advertising, which will finally unlock YouTube’s full economic potential and make everybody embarrassingly rich.